We all love great movies and the movie industry has always come up with a way to reward great cinematic achievements. 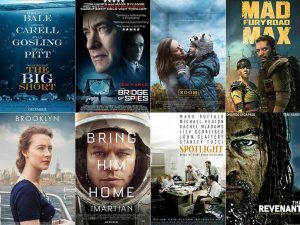 There are movie awards for various types of movies, and they are distributed by categories that cover the most important elements of making a masterpiece of the movie industry. Categories vary from the Academy Awards in LA to the Cannes Film Festival in France, but the few main ones are always there. That includes Best Movie, Best Director, Best Actor/Actress, Best Actor in a supporting role, and so on. The movie industry is growing, and so does its popularity. Prestigious movie awards have an incredible fan base, which works to the advantage of the gambling operators. The world-famous betting operators have particularly been fond of the Academy Awards because of the fan appreciation and media coverage. Academy awards are particularly appealing to bettors since Oscar Betting is nothing like the traditional sports markets. Oscars betting is different from sports betting in a way that with academy awards, the results are based on predetermined information. The votes are submitted long before the actual awards are presented, which gives bettors precious time to acquire as much information on the votes as possible. The thing with Oscar betting is that it’s a game of cat and mouse. All the bettors are chasing the same information as the gambling operators, so the question is who will get the accurate information faster? The academy awards are, without a doubt, one of the most significant awards in the filmmaking industry, but let’s check out some of the others. BAFTA is the British annual award show hosted by one of the most esteemed art institutions in the UK, the British Academy of Film and Television Arts. 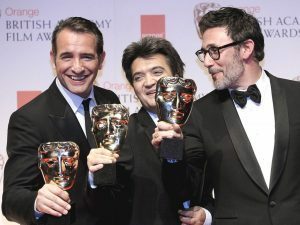 The ceremony was first held in 1949, and ever since, BAFTA has been promoting and honoring British and international contributions to the film industry. As of 2017, the BAFTA ceremony is being held in Royal Albert Hall in London. The Golden Globe Award is an honor awarded by 93 members of HEPA (Hollywood Foreign Press Association) for movies and television. Ever since its inception in 1943, it has become an important part of the movie industry. The Golden Globes Award recognizes greatness in film and television all across the world. The main part of the event is the ceremonial dinner, wherein the winners are announced. Sometimes people can’t tell the difference between Oscars and The Globes. The major difference is that the Oscars focus only on cinema, and Golden Globes also awards Television. Besides, the winners of the Globes are selected by a small group of 93 members, while the Oscar winners are selected by more than 60,000 industry professionals.